One of the fullest online Japanese courses with a lot of unique content created with regard to Japanese culture, Rocket offers several progress-tracking features, a working forum, and many more benefits hard to find in other courses. 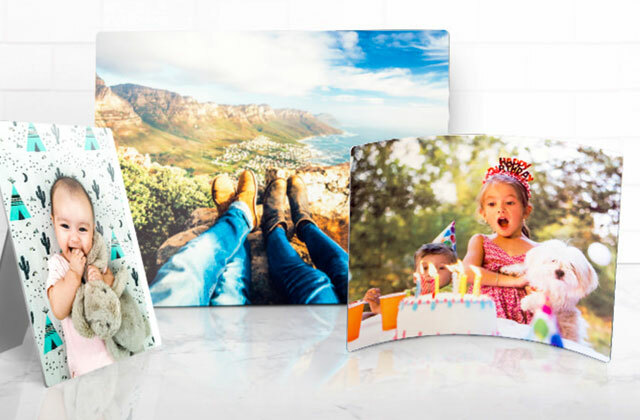 Downloadable audio and printables make it possible to learn offline as well. Additional materials might be needed to learn writing. 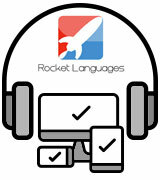 A whole lot of resources agree with us in this: Rocket Languages is the best way to learn Japanese online. 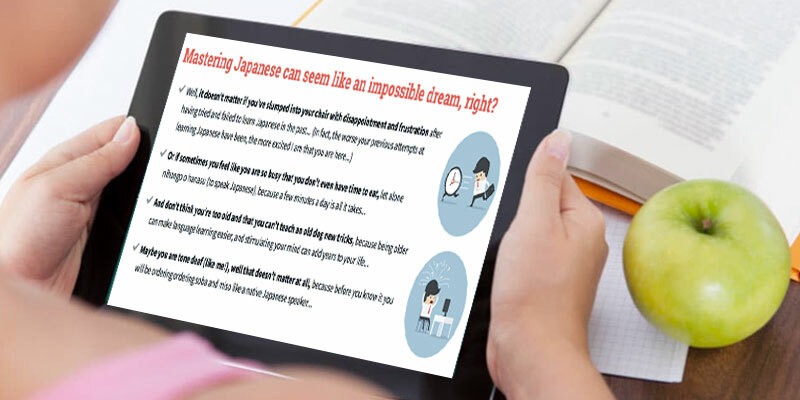 Equally good for those better perceiving information visually and those preferring audio learning, these online Japanese classes are a blessing for travelers and on-the-go working people. This is an easy-to-use audio course that will teach you how to speak exactly the right way, which is pretty hard for an English native speaker when it comes to Japanese. 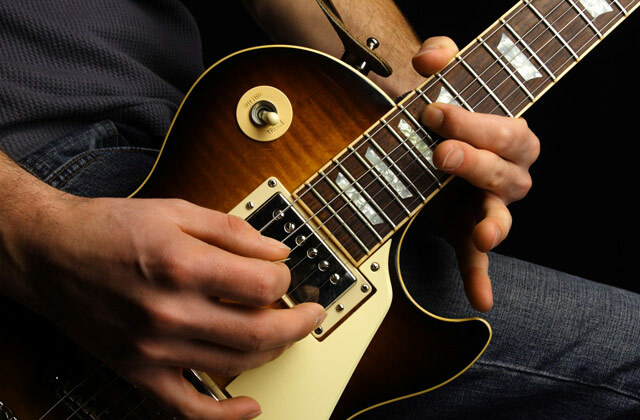 You can practice on the go and be ready for a travel to Japan in no time. You won't learn much reading or writing with it. With its patented language learning system, Pimsleur will help you make conversation in Japanese with next to no accent. You will speak at a good speed and will understand native speakers when they talk like, well, native speakers. 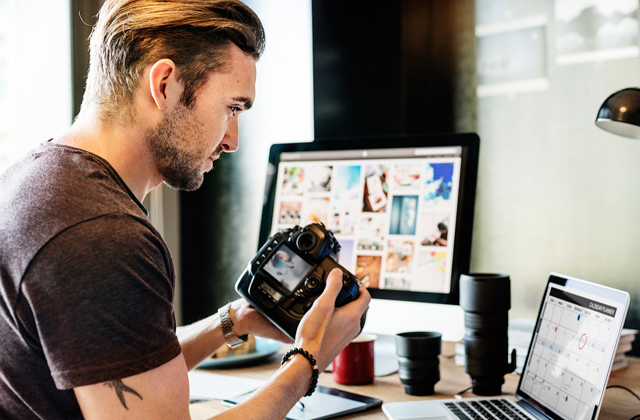 The availability of both online and offline materials greatly adds to the flexibility of the course. 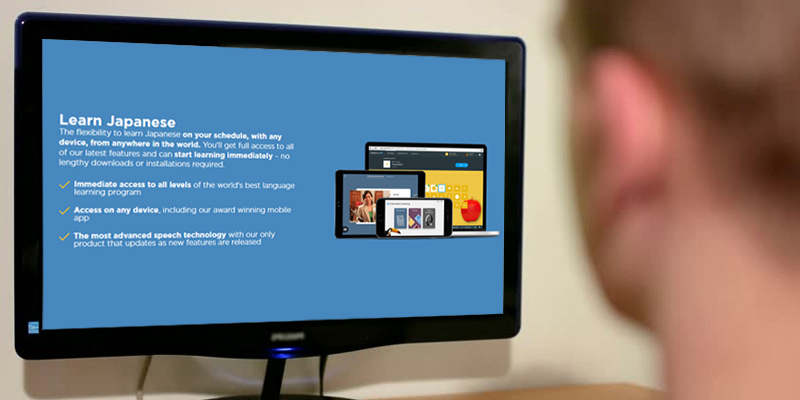 The immersive system offers you the way of learning a second language the way you had learned your first as a kid. There are optional tutoring sessions with native speakers. The Japanese edition might be rather confusing for a complete novice. 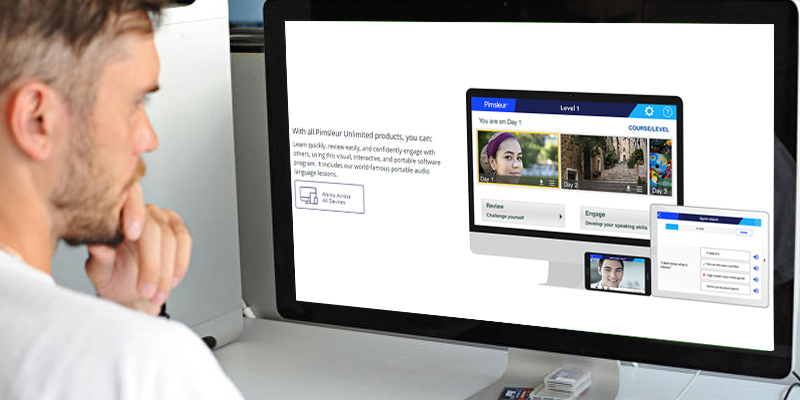 With 25 years of language teaching, Rosetta Stone is one of the most well-known and trusted companies in the industry, hired by many very official institutions and companies. 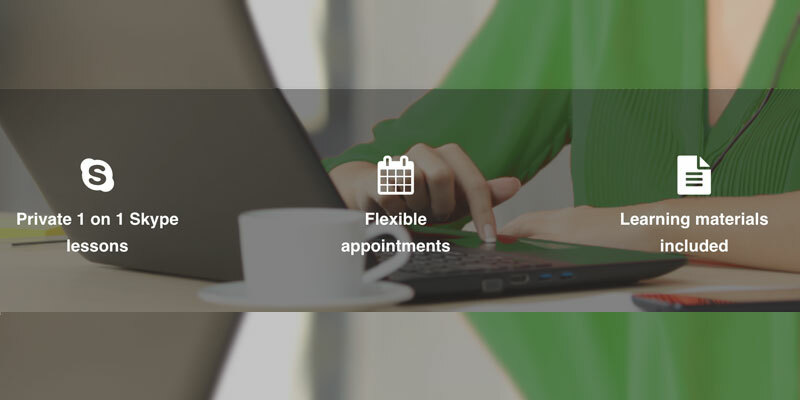 Their flexible and user-friendly system makes studying an extremely convenient process. A personal teacher selected with regard to your specific needs is still considered by many to be the best way of learning a language. They will guide you, assess you with a certain goal in mind, and will become a strong anchor that provides both engagement and motivation. No native speaker teacher at the time of this review. 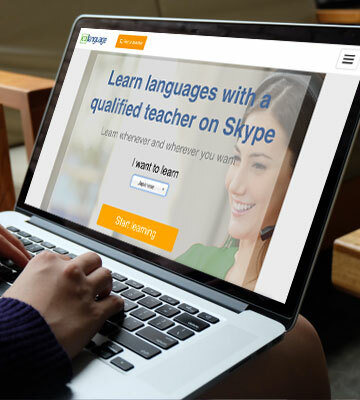 Online Japanese classes via Skype on CoLanguage are the choice of dedicated learners who prefer live communication and set schedule to a freewheeling self-studying. 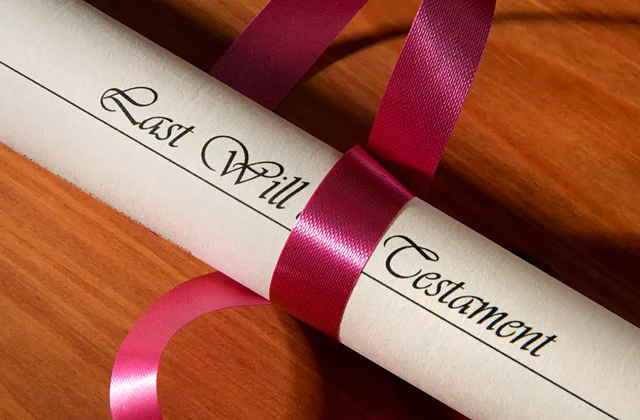 You can stray off-topic, select subjects of interest, and ask for clarifications. The grammar and vocabulary are explained in an entertaining story-like way with a bit of humor here and there. With this course, you will learn the everyday life in Japan almost like you are there yourself. A good choice for people who get bored fast. And check out their blog, it's hilarious! LinguaLift is a group of language enthusiasts and Japanese was their first language in this project, meaning it is their most developed course today. 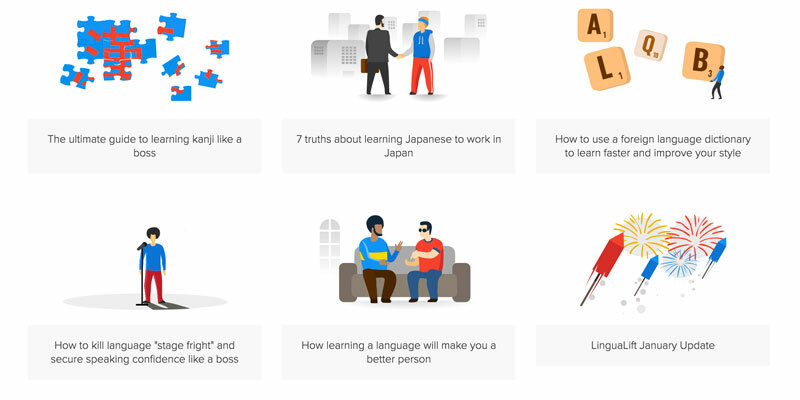 Broken into 50 lessons per level and each lesson into categories, this site offers Japanese courses that teach you not just language but the culture in an incredibly fun way. 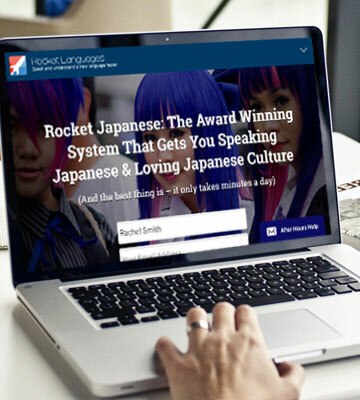 There is a valid basis for Rocket Japanese course to be one of the most popular online Japanese classes—it features the fullest set of exercises targeted at absolutely any type of student. If your memorizing skills work better through listening or your ultimate target is to start speaking quickly, this course is virtually perfect, but there is plenty of great material for visual learners as well. And it doesn't matter what your Japanese language skills are as there are three levels that can be purchased individually as well as in bulk. So what do you get inside this best Japanese language program? 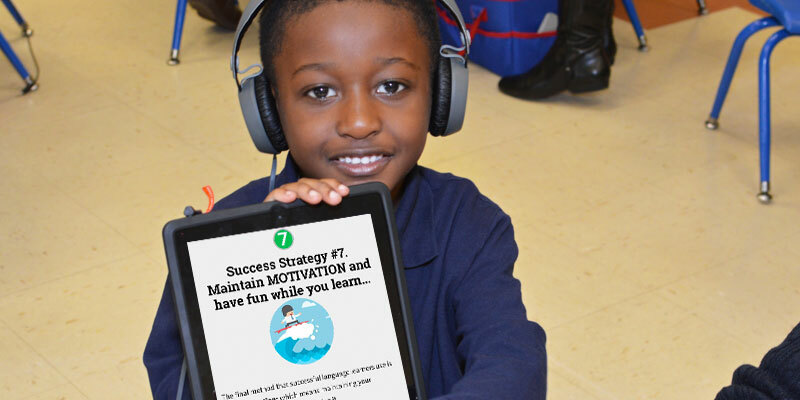 Each level is divided into five categories: Interactive Audio Lessons, Language & Culture Lessons, Writing Lessons, Survival Kit Lessons, and Flashcards. Basically, it's easy to understand what each category offers. 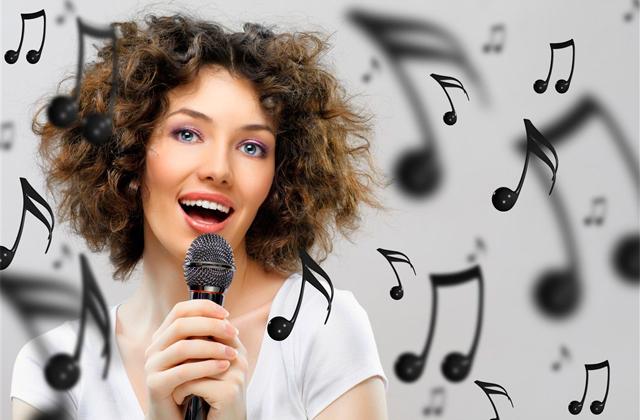 During Interactive Audio Lessons, after the introductory text, you will listen to the dialogues between native speakers and English teachers that will explain to you the words and how to use them. There are transcripts for all Japanese words and phrases in Hiragana, Kanji, Romaji (Japanese words written with English alphabet), and translated into English. Language & Culture Lessons offer you language mechanics including grammar and cultural tidbits, most of them with audio and sometimes video support. Writing Lessons are what they are, here you will learn Hiragana, Katakana, and eventually Kanji. The lessons have videos on the correct strokes order and signs shape. In the Survival Kit Lessons, you'll see some "hot topics" that might be essential when if you have a trip to Japan soon and have no time for basics just yet. What to say and how to say it—this section is a savior. Each section ends with a bunch of tests for you to complete and earn points. You will have to repeat the words, translate them, write them with a convenient display keyboard (that is, if you don't have Japanese language support installed on your PC or gadget), and even sort of participate in a conversation. 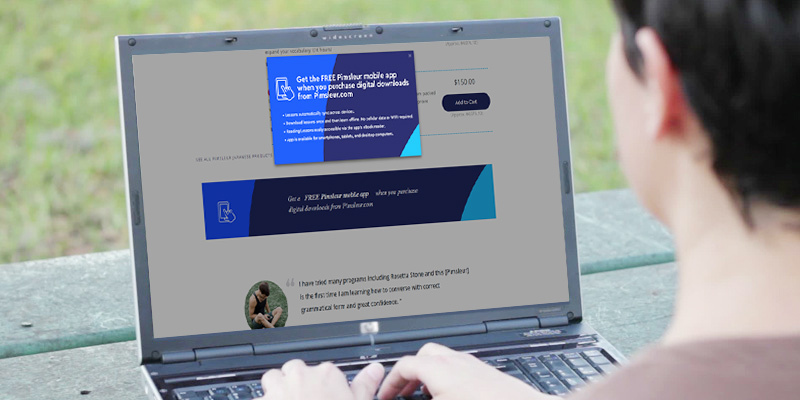 All the content is downloadable, from PDF files with text to audio, so you can learn offline with your PC or smartphone/tablet (iOS and Android apps are there for you to check out). Finally, you can leave notes for every lesson—something to remember regarding it—right there to never lose it. Truth to be said, the course prices might seem rather steep when you initially see them but see, these prices are for a lifetime access, not per month or year. 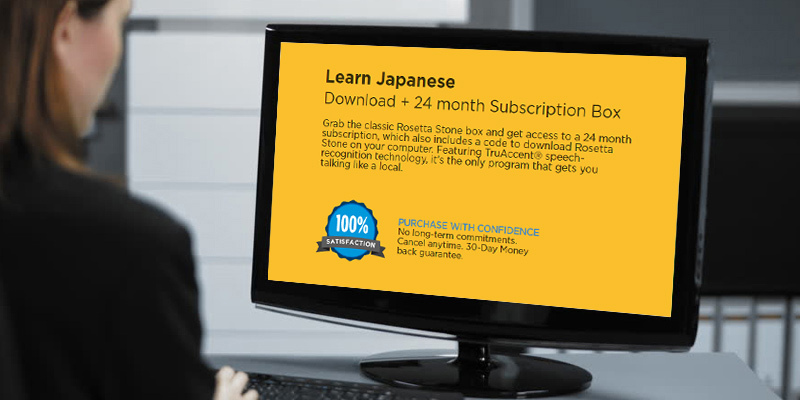 This means that once you've acquired the program, you are free to advance at your own satisfactory pace without worrying about how much you've succeeded in a month for the money you've paid and how long you will have to continue paying until you master the language (which can be years for a busy person to whom Japanese is not an immediate necessity). Besides, you will have a week-long trial to check out quite a number of lessons in each level to see if the Rocket Language system works for you. Moreover, if you choose to buy not one but two or all three levels, you will have a good discount any time throughout your trial time, and, according to the CEO message found on the price list page, if you buy the course and still find it not good for you, you can, in fact, get a refund during whole 60 days! That's quite a lot of time to make up your mind. Rocket Language had had some issues with their users in the past regarding various aspects but what adds to their collective karma is that the owners listened to the customers' outcry and did their best to fix most of the problems. One of those was a not too convenient design. When you come into your account now, everything is as comprehensive as possible: on the side control panel, you'll see your purchased levels, each of which drops down to a menu with categories and then lessons. The Tools menu drops down to show links to your progress, the forum, notes, vocabulary, and advanced learning. Simple as that. Also, the progress is tracked below in a never-hidden menu so that you could just glance at it anytime: Today's Points, your place on the Leaderboard, and Current Streak, a number of days you've been studying in consequence. 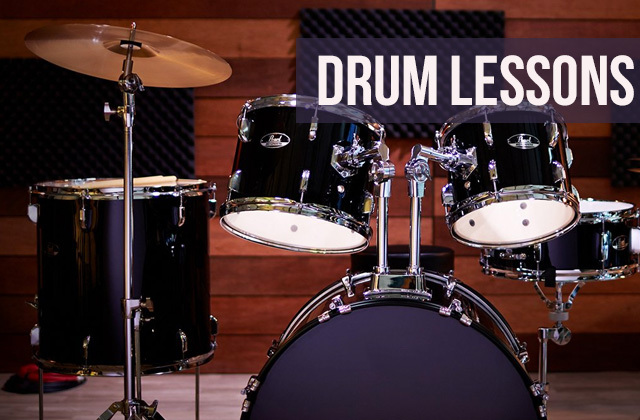 The only thing we find a bit inconvenient for some users is that the control panel is not fixed, it disappears as scroll the lessons down, therefore, to switch to another lesson or level, you'll need to scroll all the way up. However, there is a Return to the top button at the bottom. 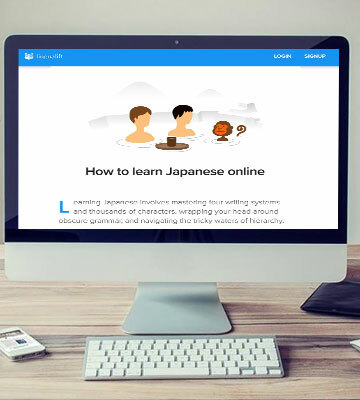 All in all, we find Rocket Japanese to be the best way to learn Japanese online if you are serious about it and you often have to learn on the go. The Survival Kit will help you if you find yourself in Japan unexpectedly but all the other aspects of the program, from the number of lessons to the price, are created more for those who plan to dive into the Japanese language and culture deep and for a long time. 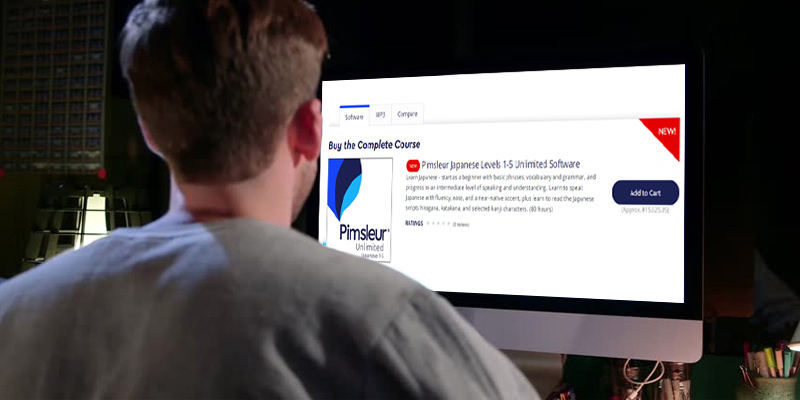 If your ultimate goal is to learn to speak Japanese fast so that you could travel there for business or pleasure, this Pimsleur course is your best bet. It is an ultimate audio course that will teach you the most useful vocabulary and, what is more important, will make you fluent in using it. The benefit of a Pimsleur course which highlights it among absolute most competitors is that it focuses heavily on pronunciation. This means that when you stumble upon a native Japanese person in Japan who does not speak English (or does but pretty basic) you will most probably be able to understand them and reply or ask a question without any troubles. It is an irreplaceable skill, really, since even today, with all that globalization, Japanese people are rarely any good at English and to successfully communicate on the streets it is highly recommended for any foreigner to at least know the basics of the speaking Japanese language. It is especially true for older people and all types of vendors, street sellers, and often even with police officers. In Japan outside the Tokyo Metropolis and big cities like Osaka and Kyoto, knowing conversational Japanese and being good at it can pretty much save you. That is the main reason why so many people consider learning Japanese with Pimsleur their best option. 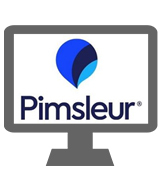 So what distinguishes Pimsleur from all the other audio courses for Japanese learning? First and foremost, you won't find many systems with a peculiar phonetics learning like the one Pimsleur offers. It's not a completely new approach in and of itself but only a handful of systems do actually apply it to learning languages as an adult. That is when you learn Japanese with Pimsleur, the voice in the program will teach you longer words starting from the last syllable. This is the way most kids learn their native language and it does, in fact, bring exceptional results with adults as well. Such a system is also highly effective when you, a native English (or another European language) speaker try to learn to speak Japanese, a language not only complicated by itself but in addition posing extra difficulty to us since its phonetical structure is completely foreign. Another thing that Pimsleur incorporates in its Japanese learning course and other language courses is a somewhat modified SRS, Spaced Repetition System. It was actually created by Paul Pimsleur himself. In his version of the system, the words and phrases are repeated after quite strict time periods which get longer after each time. 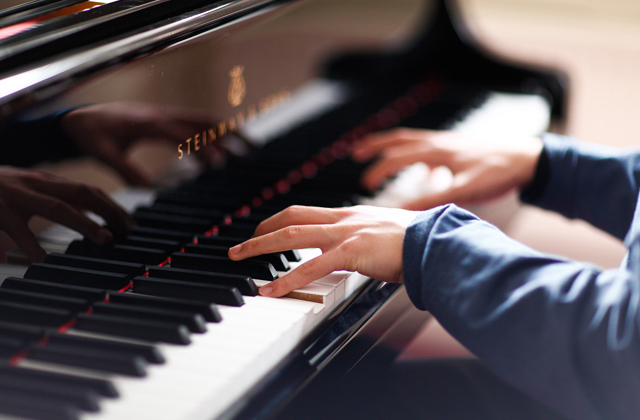 At first, you will hear them really often, like after 10 seconds, then the gaps will grow more and more until, finally, the word is secured in your permanent memory. 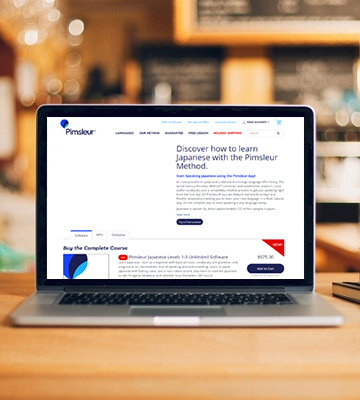 We'd like to stress that Pimsleur will teach you to speak and understand spoken Japanese, the skills essential for any and all travelers to Japan but mostly irrelevant to those who strive to learn Japanese because they are fans of Japanese comics—manga—or want to study this language thoroughly. Pimsleur will not teach you to write or read in Japanese, the PDFs that come with the course are scarce and insufficient to learn Japanese in all its aspects. But what we can assure you is that your pronunciation and listening/speaking skills will benefit enormously from a course like Pimsleur. 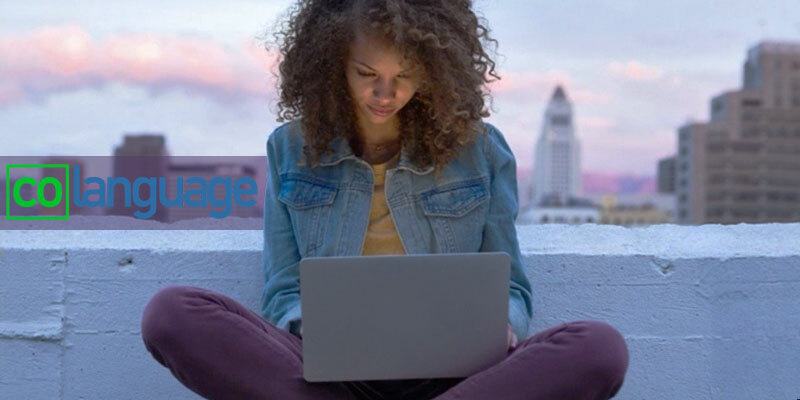 Rosetta Stone has been on the language teaching market for 25 years already and has been occupying top spots in lists like "Best Language Learning Service" for many of those years. They've been PCMag's Editor's Choice for five years straight now. So what makes them this good? What makes companies like NASA and the US State Department choose them as their preferred language courses. 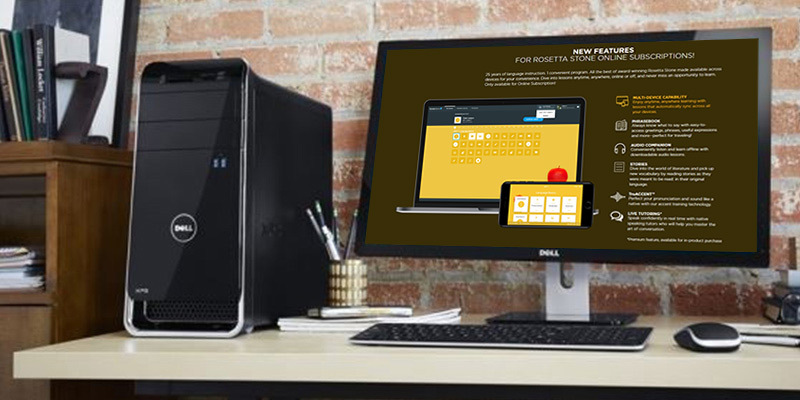 The main principle Rosetta Stone has been working with all this time is that the best way to learn a language is by immersing yourself in it completely, the way you used to when you were a kid and learned your native tongue with the help of your older family members. How does this work? Well, simply speaking, there is not a word in English in the software Rosetta Stone sends you; everything is offered in a language you try to learn, starting from basic words like "boy" and "girl" to more and more complex things along your studying way. Everything is intuitive, repeated time after time for you to grasp the meaning and remember everything without a shade of doubt. You even start to grasp the grammar on the intuitive level, though we feel compelled to note that for a native English speaker grasping Japanese grammar without a shred of explanation might actually take some time since the two languages are what one might call "nothing alike" and "could not be farther away from each other". This system has all the potential to work wonders, and it does—with European languages, at least, but chances are you can embrace it for Japanese as well, after some initial struggling if you are a complete beginner. Or it could be a wonderful additional source to your Japanese courses and books. 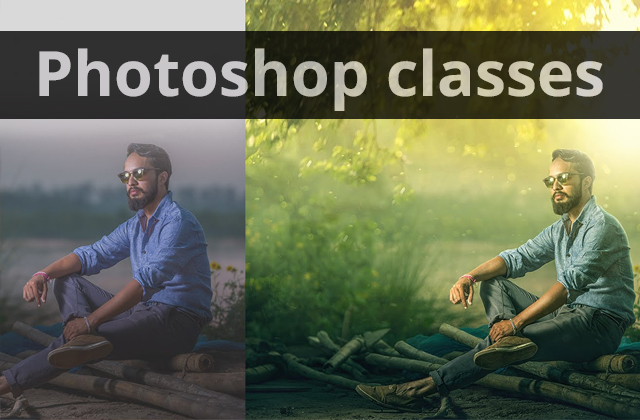 If the price does not make you cringe a bit. 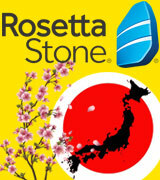 Rosetta Stone has been developing constantly throughout all their active years and it does show results. One of the things in their online Japanese classes that no one actually argues against is that all the audio in the lessons is actually recorded by true native speakers, crystal clear and appealing. Let's admit it, with a language as difficult as Japanese and with it being not the most demanded on the market, many companies make do with audio recorded by advanced-level foreigners, which may be awesome but won't be the same as the native speaker's speech. So in this aspect, learning Japanese with Rosetta Stone is a good choice. 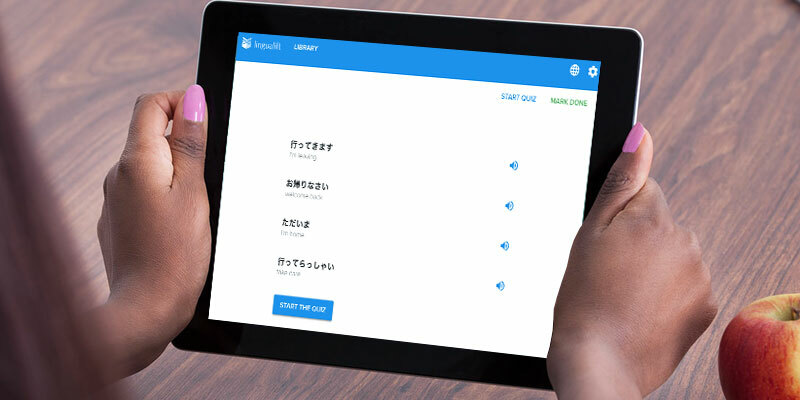 Going for a bit of nagging, though, many users noticed that the Japanese speech in this course is deliberately slower and more pronounced than the way people in Japan speak so you might need a bit of getting used to the speaking speed after the course. However, we believe it is not a big issue in today's world when you can watch some Japanese show or anime to train, and good slow pronunciation might actually help with understanding. Adding to the great level of recorded audio, there is also the Rosetta Stone's TruACCENT™ technology that will help you develop your own pronunciation. It does fall for the same category as the recorded speech, as in you'll be speaking rather slowly, but it helps a great deal. And when you are done with your first lessons and are ready to try speaking out loud, Rosetta Stone offers you native speakers as tutors; you can speak with a real person who will correct your mistakes and encourage you to go on. 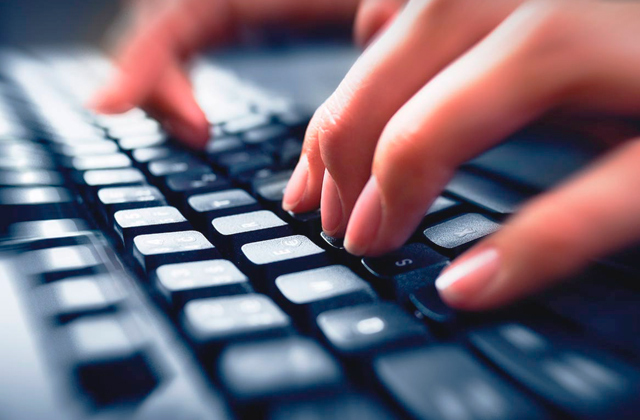 Rosetta's courses are offered as a downloadable desktop course, as a CD disk, and as online lessons. All three of them are quite good but online subscription offers the best possibilities for the price. 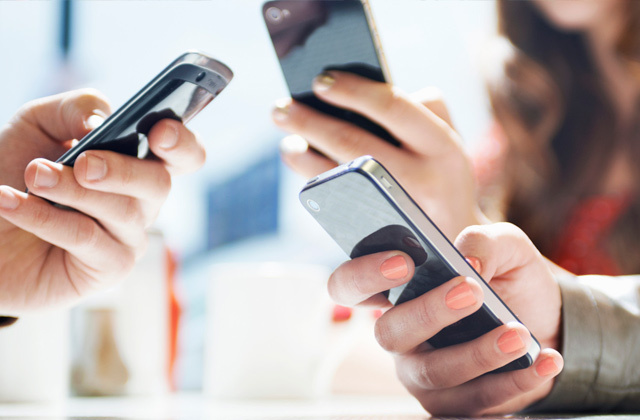 It is the only option you can use on-the-go thanks to the Rosetta Stone app and downloadable audio, and it also includes a phrasebook, some books for you to read in the language you learn, and the aforementioned speech recognition and live tutoring sessions. It is flexible and convenient. 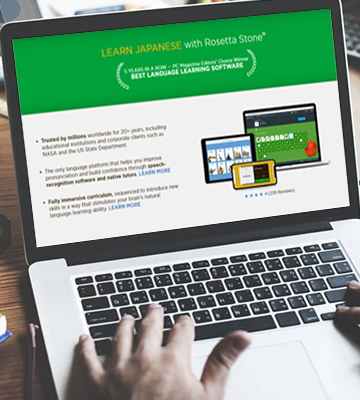 All in all, Rosetta Stone might very well be your best way to learn Japanese online. 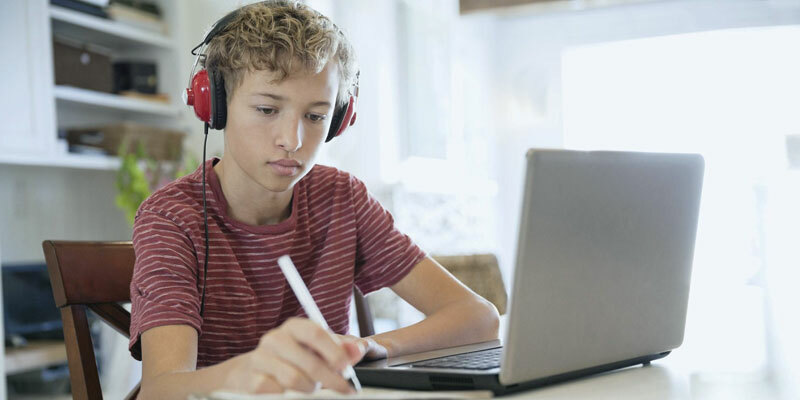 Tutoring is one of the most popular ways to learn languages even today and it will hardly be replaced with other types of courses soon since no computer can yet replace a human teacher. 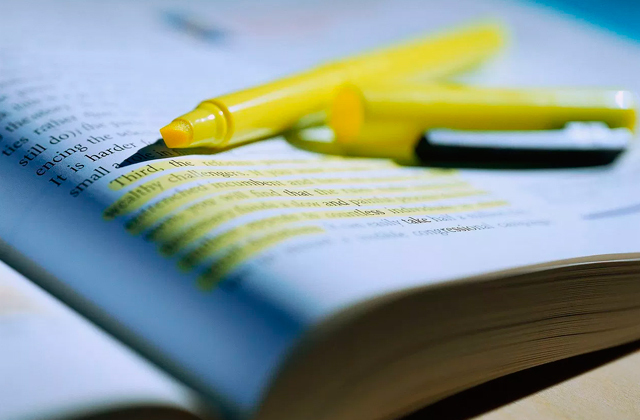 The good thing about tutors is that they are actual people who will adjust their teaching system for their students to understand the subject better, change the way they lay out the material, explain things in a variety of ways. You can ask your teacher a question and receive a comprehensible answer right away. What is more, with a real person as a teacher, you not only learn things but also communicate. CoLanguage is a reputable resource where you can find a professional language teacher. There is a whole variety of languages offered there and Japanese is one of them. After just a bit of time with the CoLanguage Japanese courses, you will try speaking live without any fear to embarrass yourself like you would probably do if the first time you actually speak is when you are already in Japan trying to book a hotel or ask for directions. Teachers are cool. First of all, this is a popular site where many teachers gather for work, so you will have a selection of options with people proficient in Japanese, you can try each of them to find yours. This also makes it easier to find the teacher who will be ready to work at a time comfortable for you. You will get a feedback on a regular basis, and will even have a possibility to receive a CEFR (Common European Framework of Reference for Languages) certificate corresponding to your level. CoLanguage also offers the possibility to work for them, you can teach the languages you already know, including your native. This way, you will earn as well as spend. A win-win. When it comes to learning and teaching, a personal approach is a good thing. At CoLanguage, there are teachers of various origin, age, genders, experience, and characters. At the time this review was written, we're afraid to say there is no native Japanese speaker among the language teachers, but maybe there will be one when you check them—with the "Become a Teacher" option visible right there on the site, there are chances someone will appear sooner rather than later. And even if there is none still, do consider those non-native teachers who are still proven professionals and you might very well find them compatible with you in spirit. After all, this way you will not only learn the Japanese language and culture but will have a peek at how it is perceived in a different country. The rates per hour are set by the teachers themselves. 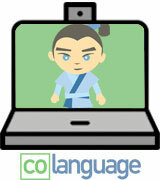 CoLanguage also offers their tutors and students an option of a trial lesson. That's when you check out a teacher for free once before you decide if you want to study with them. Whether the teacher is okay with this is up to them, and many tutors do offer a trial. No harm in trying out, right? LinguaLift is a project created by language enthusiasts, and it shows. The teaching system on the site is funny, all the material is given to the students spiced with lots of humor. 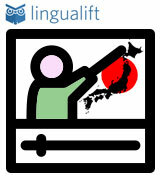 Japanese course was the first LinguaLift had launched so it is the most profound and developed. 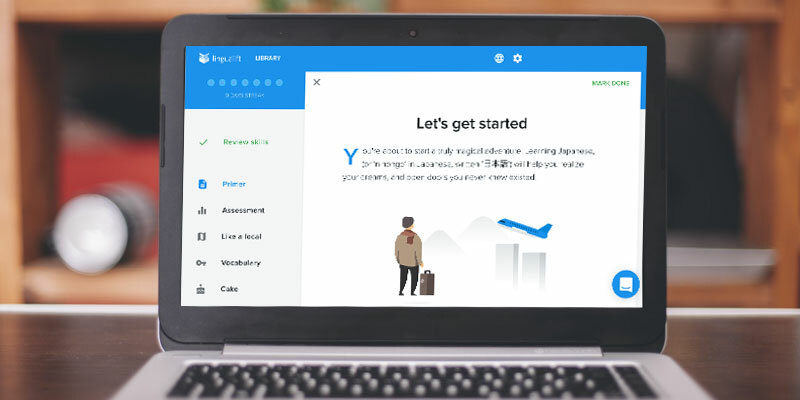 Probably, one of the biggest and most important pros of LinguaLift is that it shows you not only the language itself, with the ton of everyday life information offered within grammar lessons or vocabulary, you will feel almost like you are in Japan and the Japanese life is all around you. In the Primer section, you will have the lesson woven into a story. Besides the rules, you will get to know the history behind them, which is sometimes absolutely hilarious, will obtain some information (aggregating as you proceed) on the casual ways of Japanese people, how they live, how they think and how Japan came to be what it is today. The story is sometimes complemented by audio and/or video materials, tips and hints from the native speakers and tutors. Did you ever imagine that learning Kanji could be fun? The LinguaLift team can show you how. After the Primer, you get to Assessment. Here, there are quizzes and tests which you can pass several times even when you do good as they are greatly varied and can change. The Like a Local part is more information on daily life and culture, with even more amusing details. Vocabulary is to review the words you've learned. Finally, there is the Cake section. This is your reward for the work well done. In this part, the creators have added funny videos taking place in Japan, recommendations for books and movies, and a lot of other fun stuff. LinguaLift is one of the best Japanese language courses in part owing to the implementation of the Space Repetition System. You will probably find this system in many game-based language courses. What does it mean? Basically, the SRS is a system that returns the words you struggle with to your tests time and time again until you learn them. Say, you're doing a test in the Vocabulary section and you get one word wrong. The system will show you the right answer and the test will continue as nothing happened (because it's okay to make mistakes!) but after some time the trouble word will pop out again when you least expect it. If you do it right this time, the interval for it to appear once more will become longer and vice versa—do it wrong again and it will be repeated shortly. As you learn and your vocabulary expands, you'll see the word in your test more and more rarely but get it wrong again after several months of correct answers and the interval shrinks again. This system is quite old, said to be dating as far as 1932 (attributed to the Psychology of Study work by C. A. Mace). It has developed with years and today is used in many language programs. Many websites today have blogs, it doesn't surprise anyone anymore. Hell, every IT company is practically obligated to have one. But LinguaLift Blog is just something else entirely. Sometimes, it's like a stand-up performance. You'll find many things there, from apps and tips for certain languages (LinguaLift mainly focuses on Japanese and Russian now) to articles like "Gifts for language lovers" and tests on how much of a language nerd you are, all written with jokes scattered here and there. It's really entertaining and entertaining to follow. We highly recommend LinguaLift online Japanese classes to teens, young adults, and generally to everyone who loves a good laugh. What Is a Japanese Online Course? One of the most puzzling and mysterious countries in the world—Japan. An unbelievable combination of superior technology and centuries-old traditions still alive not only in deeply rural areas but just about everywhere in the country; a unique philosophy born from blending what seems impossible to blend. A culture that is hard to grasp the essence of but easy to fall in love with—truly a riddle, wrapped in a mystery, inside an enigma. And Japanese language is as real a representation of this bewilderment of a country as can be (just think about three completely different writing systems you will have to combine in a single sentence). Between Japanese economic miracle and a huge hype over anime culture, Japanese has become a highly demanded language among learners of all ages and interests. However, Japan had been a tightly closed country for many centuries, equally guarded by its citizens and nature, making it little surprise that it is still not easy to find affordable Japanese language courses in every other city, let alone smaller towns. Many business persons and other adults with little to no free time come to find learning Japanese a good investment, too. What do you do when going to a language school regularly is impossible? That's where online courses are a real savior—accessible from literally everywhere in the world if you have an Internet connection, they spread the knowledge of the language and the love for this fascinating country. 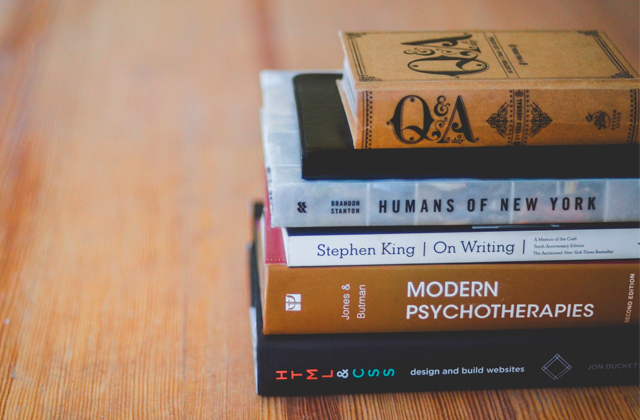 Here in this review, we would like to get you acquainted with Japanese online courses we find particularly good in some way or another. Created for different levels of knowledge and different learner types, they represent the market in a nutshell. We believe you can find the ones to satisfy your needs and help you reach your goal. If your intention is to become a polyglot (a person who speaks more than two or three languages), we suggest you also check out our reviews on Spanish, French, and English courses.